After making several trips to Elk Horn, culminating with Memorial Day’s annual Tivoli Fest, the pair returned to Denmark but remained in contact with the locals. On Wednesday, August 28, 2013, Anders Birch and Jakob Vølver’s documentary Danmark på prærien aired on Denmark’s DR1 station at 8 p.m. local time. Immediately following the presentation (around 2 p.m. Central time) Elk Horn’s local businesses and attractions were flooded with calls, social media messages and e-mails from across the world. The film prominently featured the decidedly un-Danish custom of eating æbleskiver (pancake balls) with medisterpølse (sausages) for–gasp–breakfast! Æbleskiver are usually reserved for a Christmastime dessert after lunch or dinner, and not regularly eaten as a breakfast option nor with the spicymedisterpølse, as observed in many Danish American communities in the U.S. Danes are having quite a laugh at the American’s bastardized tradition and are readily offering up more suitable recipes from the homeland. 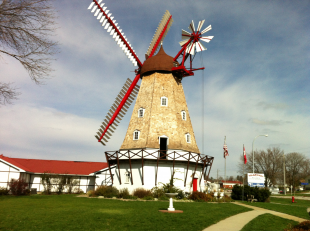 From the Danish and American flags on the light poles to red and white flag motifs painted on benches and Mini Coopers, Elk Horn wears its heritage on its sleeve and has done so for several decades since early Danish pioneers settled in the area. 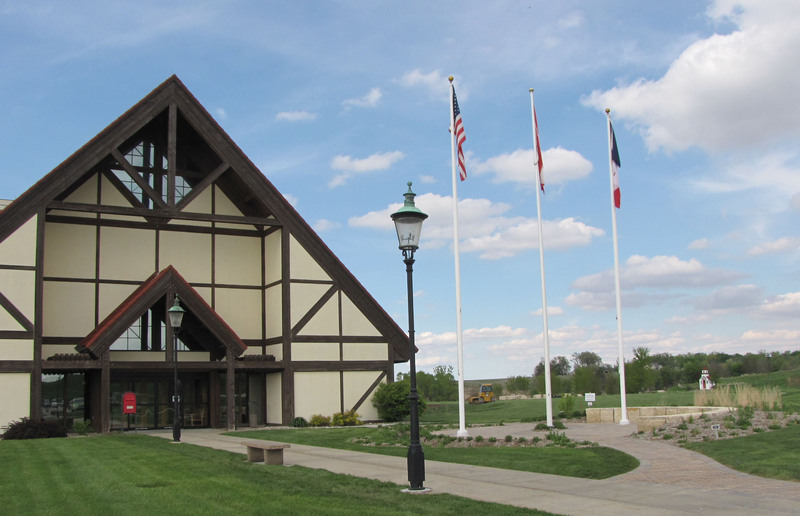 Billing itself as the Danish Villages in combination with the town of Kimballton, just a few miles north (and home to a replica of Copenhagen’s Little Mermaid statue), the rural area is an attraction for family history buffs, tourists and sightseers traveling on I-80. Elk Horn greets you with its authentic Danish windmill and a vikinghjem. Other attractions include Bedstemor’s House, a 1908 immigrant home and museum on the National Register of Historic Places, The Danish Immigrant Museum four blocks west of the windmill, the Little Mermaid statue, a genealogy library, popular smörgåsbord restaurant The Danish Inn and more. But how long the community can hold true to its Danish roots is a question left up in the air. “I myself come from a small place like Elk Horn, and I know what it feels like to ‘dream bigger,’ but I also know how important it is to bring some value into the small societies for the people who are living there,” one Danish woman wrote. 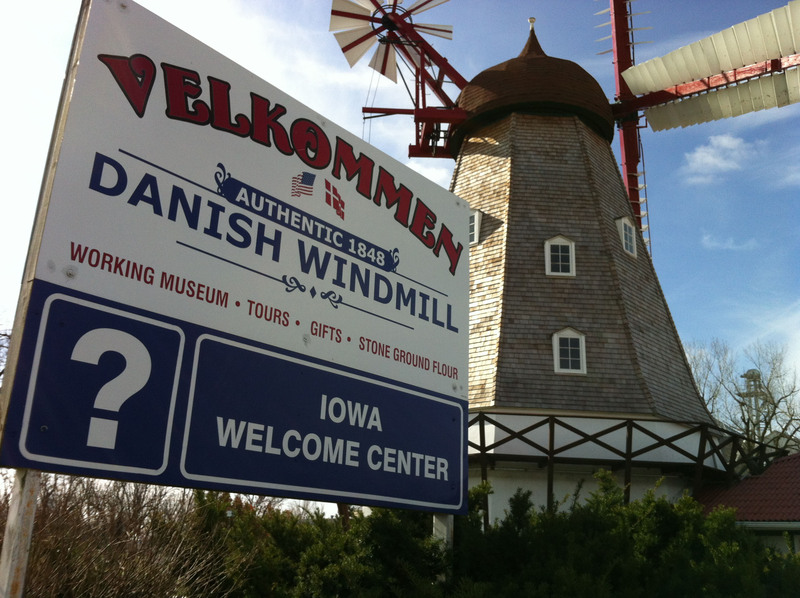 With only a few Danish immigrants and first-generation immigrants left in town, the community has seen dwindling numbers for involvement in traditions like Danish folk dancing, and fewer and fewer residents can speak and understand Danish. Local high school students and young professionals in the film expressed the desire to flee the area and its perceived lack of interesting things to do. Steve Rold, a 29-year-old Danish immigrant and former Exira-Elk Horn-Kimballton basketball coach was filmed leaving his hometown for a new opportunity in North Carolina. MANGE TAK! 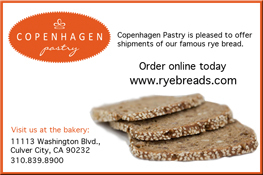 Thank you for your support and WELCOME to The Danish Pioneer Family!